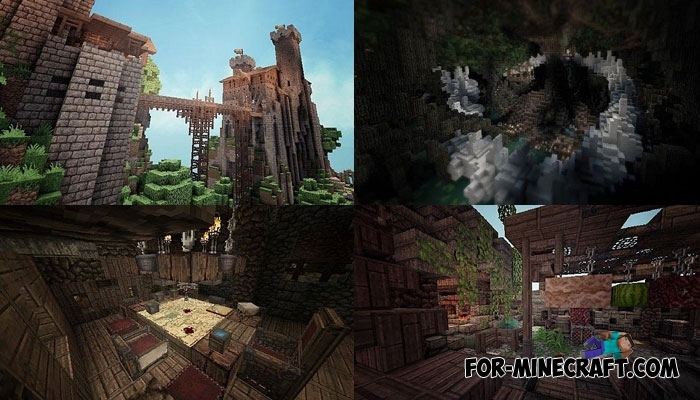 This texture pack was created in such a way that the game world was transformed into the Middle Ages where people lived in old cottages, castles and huts and nature is filled with vast forests and large seas. The Conquest pack replaces everything that you can see in your world, just remember what it was before and look at the screenshots. Any town or village will radically change its appearance, and mobs will get new skins that look more like realistic creatures. 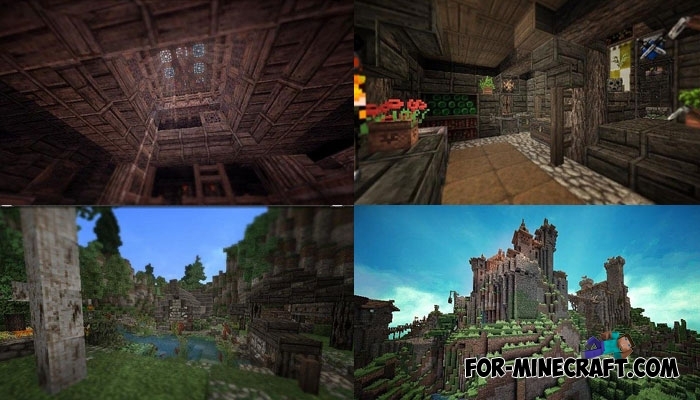 It's safe to say that the Conquest texture pack is the best ported pack in the medieval style for Minecraft Pocket Edition.